Place all ingredients into Vitamix blender container in the order listed and secure lid. Select Variable 1 on Vitamix blender, turn blender on and slowly increase speed to Variable 10, then to High. Blend for 4-5 minutes or until heavy steam escapes from the vented lid. 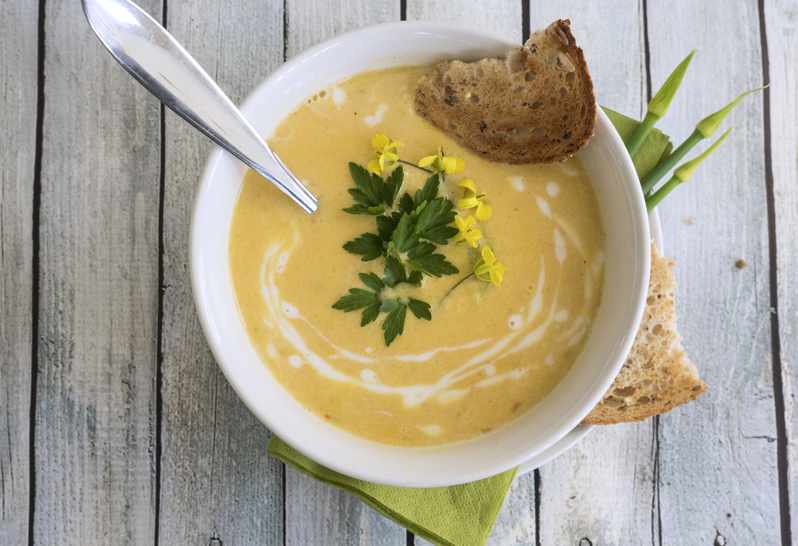 You read that right, select Vitamix blenders can heat soup! This recipe has been written for the C-Series and G-Series Vitamix blenders with Variable Speed Control and 64 oz. container. If you are using a different Vitamix machine or container size, you may need to make adjustments to the Variable Speed, processing time, and/or ingredient quantities.